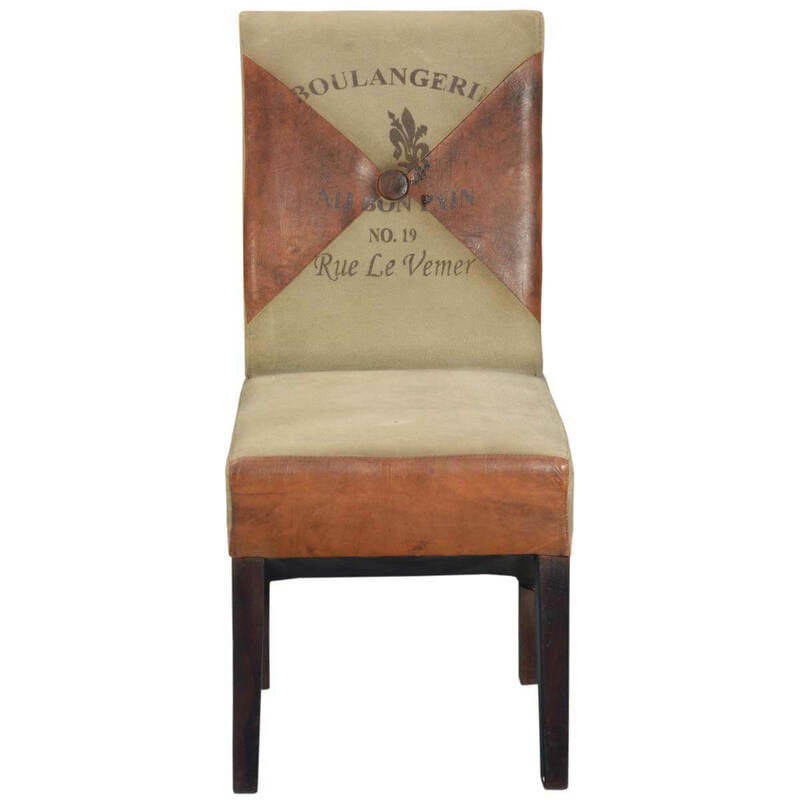 Our fabric and leather chair combines contemporary design elements and classic materials. 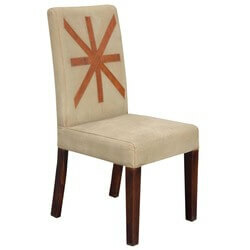 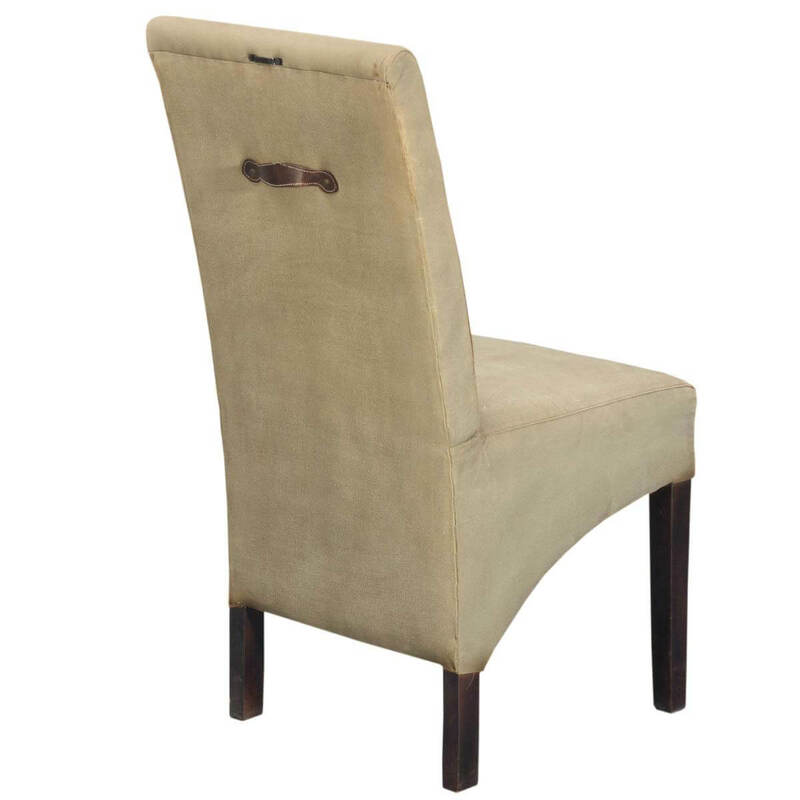 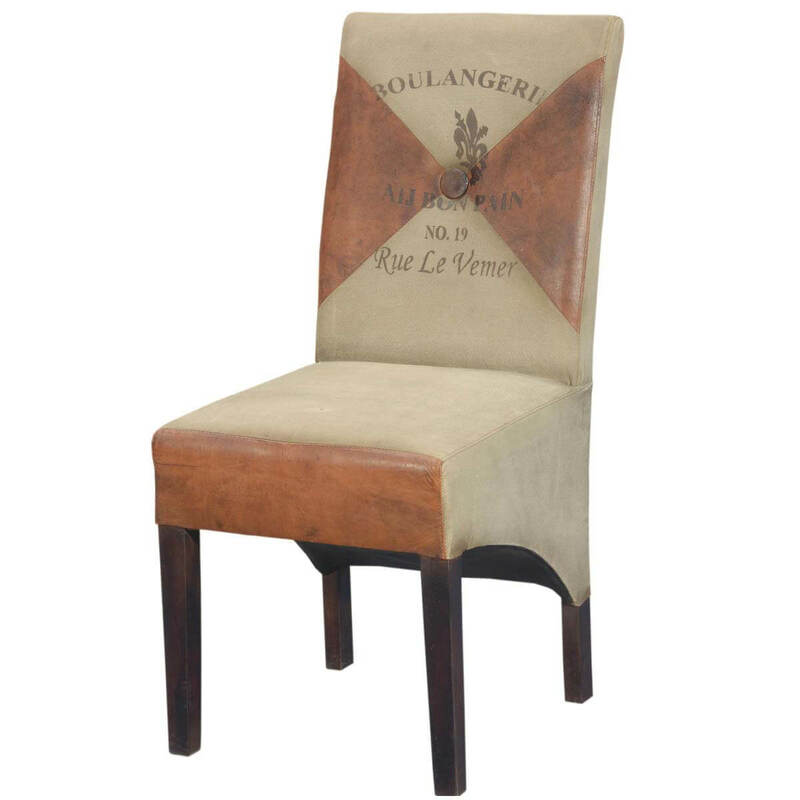 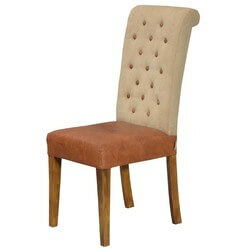 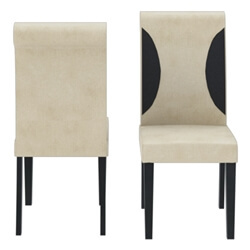 Our canvas and leather upholstered chair will create a very transitional and continental feel to your dining space. 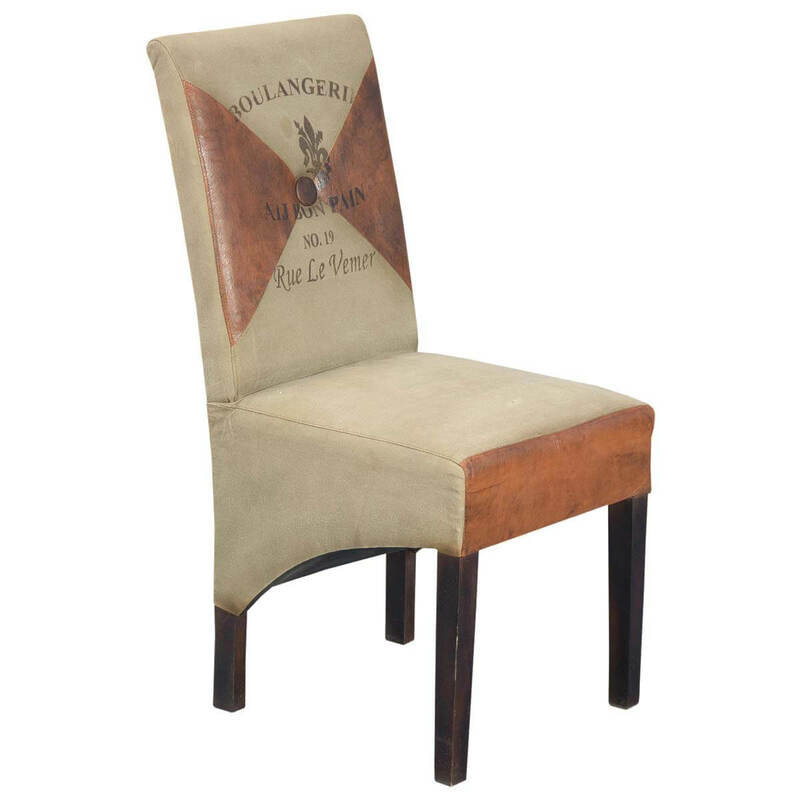 The high profile back, leather details, French wording and solid mango legs give this Canvas Leather Chair comfort and casual good looks. 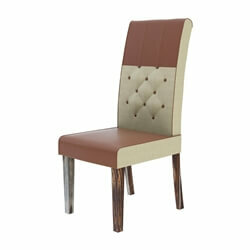 Give your old dining space a high fashion look.